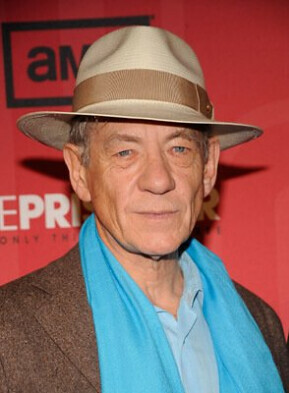 Aging English knight Sir Ian McKellan has signed on to play the world’s most famous detective Sherlock Holmes. McKellan will play Holmes who has retired to a sleepy village in Sussex with his housekeeper and son who is an amateur sleuth. McKellan, who has had recent renown in the “X-Men” franchise as well as “The Lord of the Rings”, will star as Holmes in the movie “A Slight Trick of the Mind” which will be directed by “Dreamgirls” and “Kinsey” director Bill Condon. The two worked together in the 1998 movie “Gods and Monsters”. The plot sees Holmes haunted by a 50-year-old case and coming out of retirement to try to solve it. Holmes has been played by numerous actors the most recent being AmericanRobert Downey Jr.Basil Hawthorne has also played the fictional detective created by Sir Arthur Conan Doyle. According to the press information: “He remembers only fragments: a confrontation with an angry husband, a secret bond with his beautiful but unstable wife. “With his legendary mental powers on the wane, and without his old sidekick Watson, Holmes is faced with the toughest case of his life – a case that might finally reveal to him the mysteries of the human heart”.